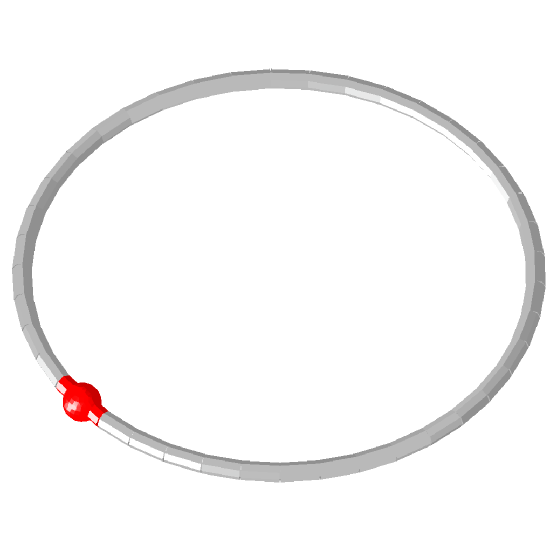 Image of the Circular loop. A single turn loop antenna is a metallic conductor bent into the shape of a closed curve, making it a simple, inexpensive and very versatile antenna type. Loop antennas take many different forms, among others rectangular, square, triangular, elliptical and circular, e.g. [Smith, Balanis]. Loop antennas are commonly classed in two categories, namely electrically small and electrically large. Electrically small loops, those whose conductor length is small compared with a wavelength in free space, are the most frequently encountered in practice, where they are used as receiving antennas. Electrically larger loops, particularly those near resonance where the conductor length approaches one wavelength in free space, are used mainly as elements in directional arrays. Electrically small loop antennas are used in simple direction finding (DF) systems. To ensure accuracy care must be taken to prevent excitation unbalance by the use of shield with a gap opposite the feed point [J.D. Haigh, pp. 11-13]. 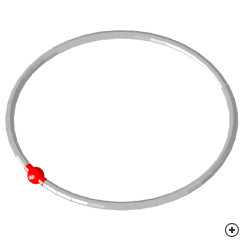 Another application of electrically small loops is as high frequency magnetic field probes. Loop antennas are also widely used in geophysical remote sensing, e.g. [Hill]. This particular antenna example is an electrically large antenna with a one wavelength circumference. Due to its many applications, the one wavelength circumference circular loop antenna is considered as fundamental as a half-wavelength dipole.